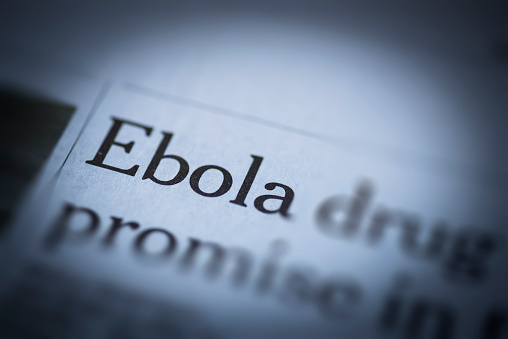 The various errors and bungles made by the World Health Organization (WHO), local governments, and other involved organizations during the 2014 Ebola epidemic have been the subject of no fewer than five separate inquiries and additional press investigations. A new report by the Associated Press (AP) further highlights Kenema, Sierra Leone as a microcosm of the larger failures in responding to the crisis, concluding that WHO’s missteps hampered health care and relief workers’ ability to respond effectively. Kenema was identified in July 2014 as one of two high-priority areas for battling the epidemic. However, hospital workers in the area were faced with regular supply shortages, consistently minimal funds, and even expired sterilization supplies. Normally, aid organizations working in Africa import their own chlorine powder to use in sterilization and disinfectant procedures. WHO chose to make use of the Sierra Leone government’s supplies instead. The report by the Associated Press reveals that hospital staff often found the chlorine powder to be expired or spoiled, and some drums had tags ripped off or showed signs of tampering. Difficulty with local bureaucracy was also highlighted by the AP report. Even as body bags—a crucial tool in preventing Ebola’s spread—became scarce, long conference calls ensued over whether white or blue bags would be more culturally sensitive. In one instance, due to delays at airport customs and a police checkpoint, bodies were left uncovered and sitting in the rain due to the lack of body bags. The AP reports identifies Jacob Mufunda, the WHO representative in Sierra Leone, as the person for much of the local failures. It was Mufunda’s job to reinforce the country’s health systems and prod officials into acting, but there is little evidence he succeeded. Financing and infrastructure needs were left unaddressed, and in one case, a Red Cross treatment center was delayed because no one in either WHO or the government could identify the site where it was to be built. Infighting added further difficulties to the response. Metabiota, a San Francisco-based epidemic research firm that was involved in the response, was accused of undermining WHO’s authority by drawing up response plans without consultation. This is on top of the prior disagreements between Metabiota and Doctors Without Borders over accusations that the former had been obstructing early declarations of an outbreak. The Ebola crisis has prompted a great deal of self-reflection among WHO officials, who have pledged to overhaul the agency’s emergency response systems. Skeptics note that, other than the retired African director, none of the officials involved have been censured. Freeman, C., “Guinea and Sierra Leone Tried to Cover up Ebola Crisis, Says Medecins Sans Frontieres,” The Telegraph March 23, 2015; http://www.telegraph.co.uk/news/worldnews/ebola/11488726/Guinea-and-Sierra-Leone-tried-to-cover-up-Ebola-crisis-says-Medecins-Sans-Frontieres.html, last accessed September 22, 2015.